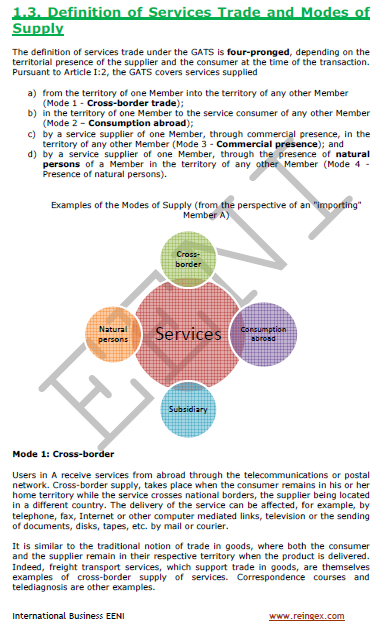 Syllabus of the Online Course (Subject): World Trade Organisation (WTO). Global Trading System. 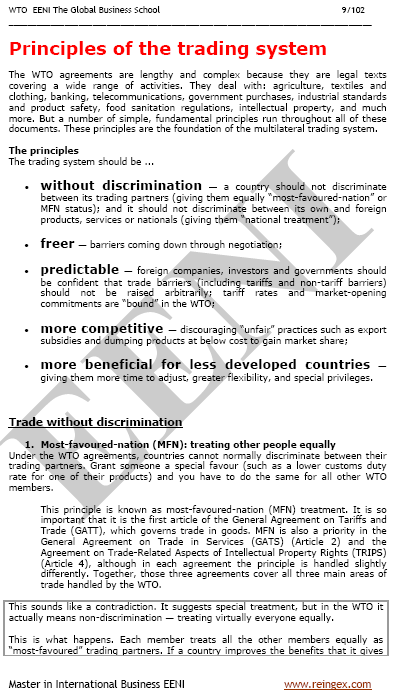 In 1995 was created the World Trade Organisation (WTO) replacing the General Agreement on Tariffs and Trade (GATT) (Created in 1948). 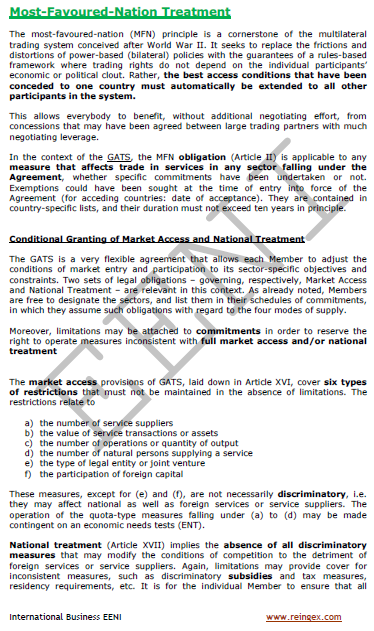 The General Agreement on International Trade in Services (GATS) is the sole ensemble of regulations ruling International Trade in Services. 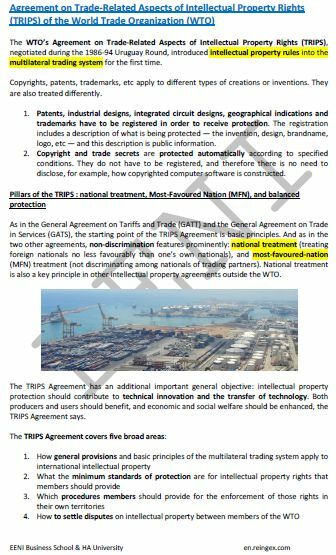 The General Agreement on International Trade in Services was negotiated at the Uruguay Round (1986-94) with the objective of regulating the immense international trade in services growth. 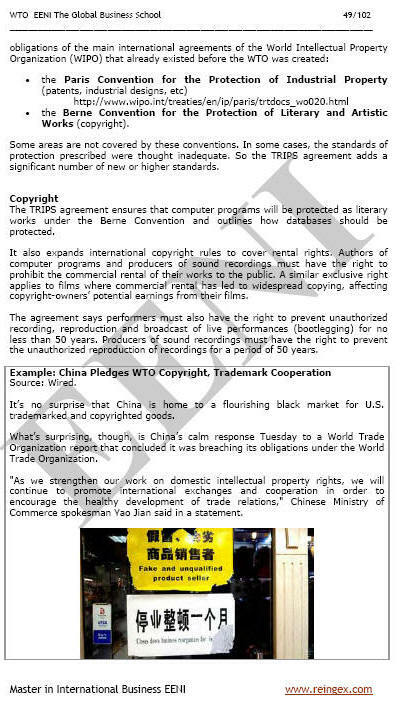 The World Trade Organisation Agreement on International Trade-Related Aspects of Intellectual Property Rights (TRIPS) was also negotiated at the Uruguay Round, introducing intellectual property regulations. The World Trade Organisation member states (with dates of membership).